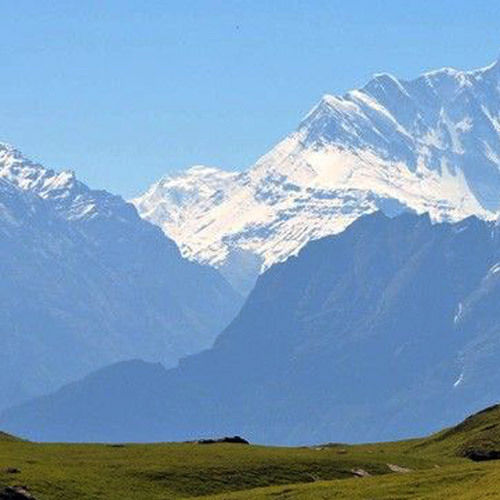 The Har ki Dun trek is one of the most scenic trekking routes in Uttarakhand and attracts adventurers from around the world. Explore meadows dotted with wildflowers, charming Himalayan villages, apple orchards, and lots more. Har ki Dun, which translates to ‘Valley of Gods’, lies in the Govind Wildlife Sanctuary and National Park. 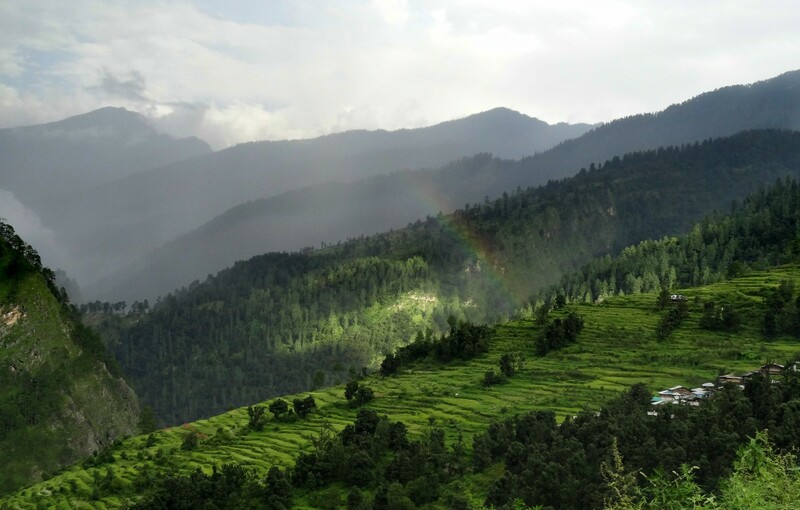 Thanks to the remote location of the valley, it is one of the least explored places in the Garhwal region, which is a stunning location in itself. 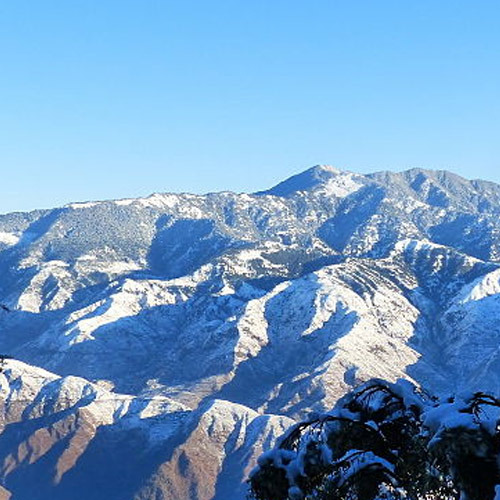 The trail lies at the base of Fateh Parvat, and offers views of Bandar Poonch, Swargarohini, and other peaks, so is considered one of the most scenic treks in Uttarakhand. 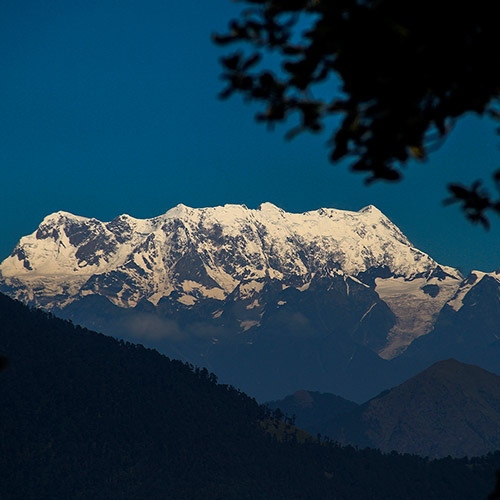 This 6-7 day trek gives you the complete Himalayan trek experience. You’ll walk through pine forests and alpine meadows during the day, and camp in the open at night. The crisp mountain air will sharpen your appetite, and you’ll sleep like a baby in your tent every night. The Har ki Dun trek is considered to be moderately challenging. The terrain is not difficult nor are the gradients steep, but there are long hours of walking each day. There are also some steep ascents, although most of the trail is fairly easy to manage. It can be done by fit beginners, but only if they are prepared to walk for 5-6 hours a day. 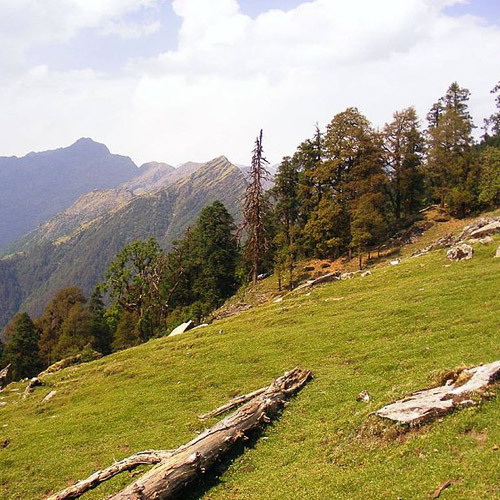 Uttarakhand has many other treks that are shorter and easier. 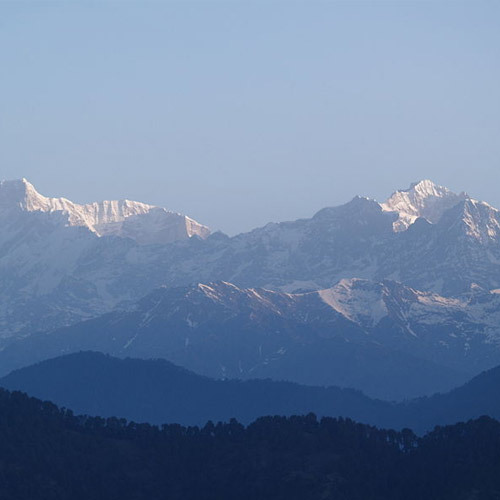 You might be interested in these short treks in Uttarakhand if you’re a beginner. If you’re heading to Uttarakhand, you should definitely consider these Top Things to Do in Uttarakhand. 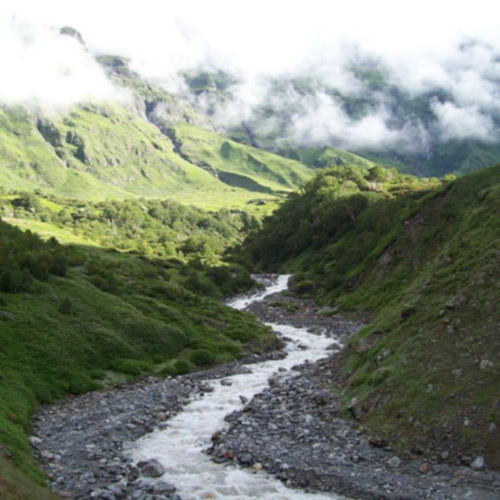 The trek starts from Sankri or Taluka and passes through the small villages of Gangad, Osla, and Seema. Around the villages, you’ll see pretty apple orchards and farms, but you’ll leave them behind as you enter a lush wilderness of green valleys, with wildflowers and streams everywhere. Some itineraries include a visit to Jaundhar Glacier. 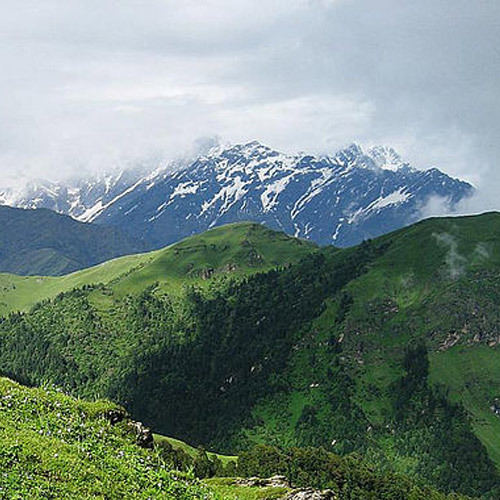 The Har ki Dun valley trek can be done all year round, except during the monsoon. Temperatures vary from 10-15 degrees C in the day to 2-5 degrees C at night. In summer, you’ll see blossoming flowers, sparkling streams, and wild horses, and will enjoy pleasant temperatures in the day and nippy temperatures at night. In winter, from October to March, the valley is covered in snow, and offers a different beauty, with white-carpeted trails and chilly, semi-frozen streams. What should I carry for the Har ki Dun trek? Your operator will provide you with a complete packing list for the trek. You should make sure you have enough warm wear for the trek. You should also have rain covers for your backpack and day pack, so that your gear is always protected. Can beginners/children do the Har ki Dun trek? It is not recommended to take young children on the trek. Most trekking days are 5-6 hours long, and there is at least 1 or 2 days on which you might trek for 7-8 hours. Fit beginners who are able to walk for long hours should be able to do the trek, but it is recommended that beginners start with treks of shorter duration. If you’re travelling with children, you should check out these 2 day treks in India or these 3 day treks in India. 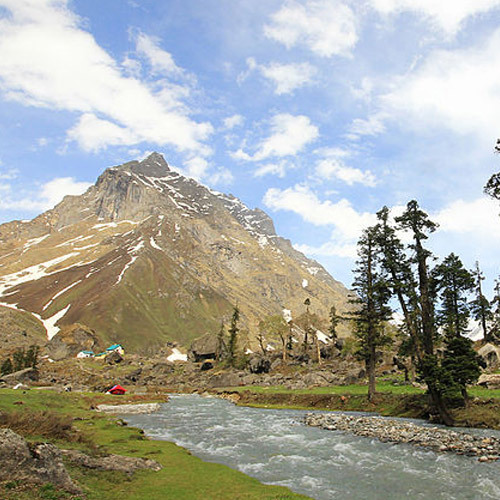 What is the best time to do the Har ki Dun trek? 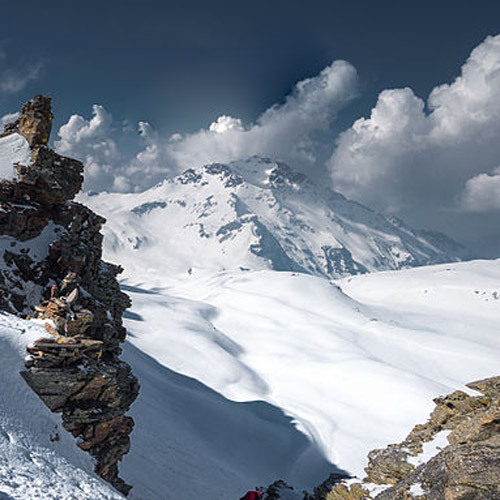 The Har ki Dun trek is a great option between April-June. The streams are all full with melting snow, and the blossoms are appearing on the trees. There might be some snow on the trail, especially early in April, but the days are usually warm and comfortable. In the post-monsoon months, from September onwards, the valley is green and gorgeous, but the temperatures will be a bit lower.